When I was a kid I never ever ate Brussels sprouts, but not because I thought they were awful, my mom just never cooked them. I'm not entirely sure if that's a Latin@ thing or what... I do remember picking one up at the grocery store once and peeling each leaf off while my mom pushed our cart (she had no idea I was doing this (lol)), and that's my entire history with the tiny cabbage. Imagine my surprise when I saw unpicked Brussels sprouts at Trader Joe's! Both cute and terrifying on their stalks. Lots of little things gross me out often times. Last week, I braved through my fear and tested Smitten Kitchen's Dijon-Braised Brussels Sprouts. They were so good I made them again Monday night! 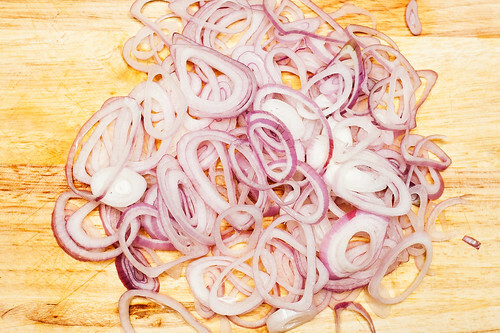 I recommend the recipe, hands down, especially because so many recipes call for bacon or bacon fat and I don't eat meat (and maybe you don't either?). 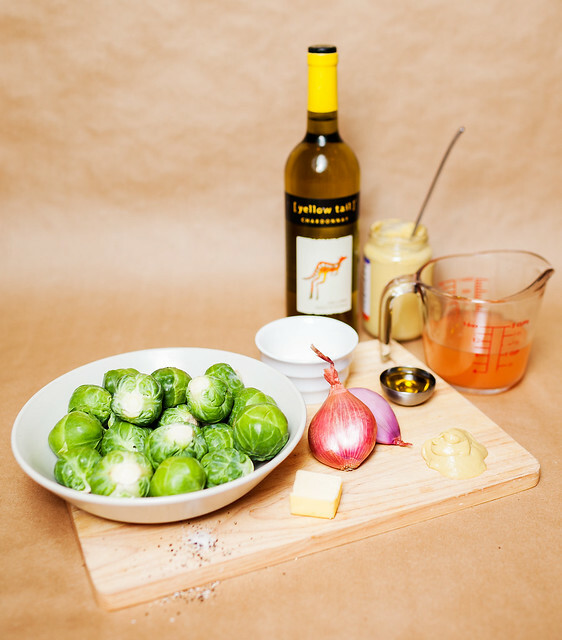 The sprouts are braised in white wine (I used Yellow Tail Chardonnay) and (veggie!) broth then removed to make a ridiculous sauce with Dijon mustard and cream. I wish I would have made more sauce so the sprouts (I) could've swam in it! I paired the sprouts with tilapia, our household staple. Normally, I pan fry it with a bit of olive oil, garlic, and onions; instead I broiled it with a lemony concoction of butter, lemon juice, and lots of parmesan. So nice and gooey! 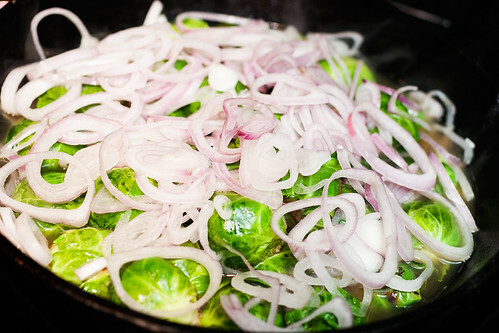 If my mom had cooked Brussels sprouts like these when I was a kid, I'm sure I would have loved them as much as I do now. They're just so rich and full of flavor! 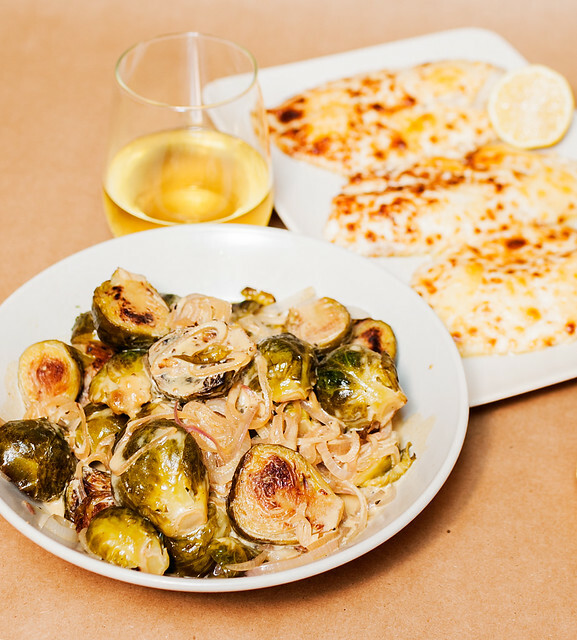 have you tried brussels sprouts tossed in olive oil, salt, black pepper, & a pinch of cayanne pepper, then roasted in a maple syrup glaze? it honestly is to die for. tastes like candy! I love brussels sprouts. I usually roast them. I should try this recipe sometime! You should, you won't regret it! I'm so going to try this. 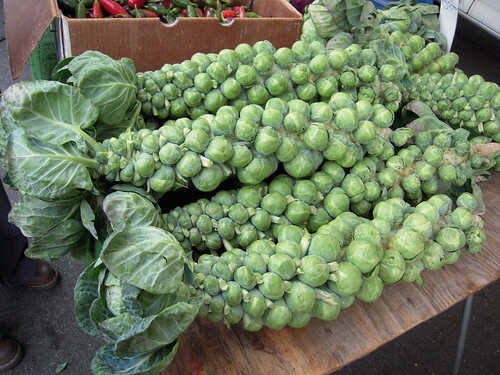 We don't really eat brussel sprouts, but I'd love a good dish to incorporate them into our diet. 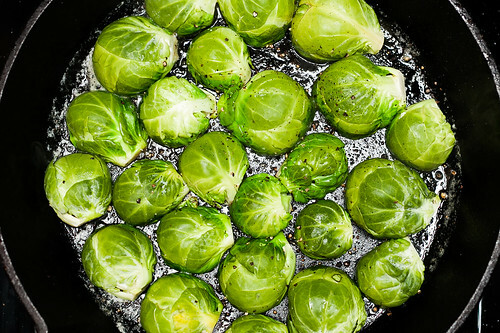 I didn' eat brussel sprouts as a kid either, which I'm pretty thankful for because my Indonesian mother had a tendency to steam/boil the crap out of any vegetable she was unfamiliar with. But I love sprouts now! I've eyed off this recipe before and will have to try it next winter. My go-to sprout prep method is chopping them in half (or quarters, if they're really big) and then frying them in a good glug of olive oil and a lot of sliced garlic.